While I love the winter months, with all the holiday cheer and beautiful snowy days, my skin sings a song of sadness. Without the right tools in my box of skin tricks, my face is dry, it's cracked, and just generally miserable. The nip in the air equals a big pain in my backside when it comes to keeping my face looking fresh and dewy when all it really wants to mimic is a desert. Of course you know I'm not going to present a problem without a solution. If you're skin is cracked, dry and irritable in the winter, you need Eucerin. There, that's your solution laid out in plain english. My first introduction to this skincare range came when I was a teenager, and was using dermatologist strength medication to battle acne. My skin, although acne free, was always cracked and burning and Eucerin was literally the only thing I could put on my face that wouldn't sting like the dickens. It was the only thing that would calm down the dryness without flaring up the aggravated skin with unnecessary additives. It became my savior from great pain and suffering. That's going back nearly 20 years now and a lot has changed with Eucerin, but I'm still singing its praises. 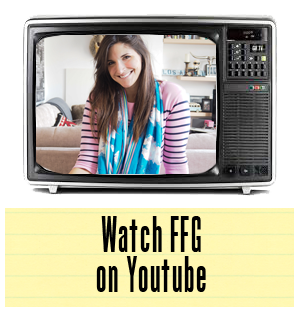 There are several new lines of products out and I've been working with a few of them, sampling to find out what could work best with my daily regime during the cooler months ahead. I've managed to come up with a few favorites. In the shower, I'm currently using the Eucerin Atocontrol Bath & Shower Oil. I'll say it once and I'll say it again, some of the most important work you do with keeping your body moisturized happens in the shower. This is an easy way to sooth skin and prevent dryness. I'm also a bit of a lazy lady and I wash my face in the shower in the morning, using Eucerin Dermatoclean 3 in 1 Micellar Cleansing Fluid. Of course I also have a bottle by the sink to use in the evening. This bad boy is great for taking off makeup and leaving the skin feeling fresh and supple, not stripped and squeaky clean. Remember that most of the products that Eucerin use are colour, fragrance and preservative free. That will mean that, for irritation, these beauties act as nothing other than a great big old hug for your skin. Eucerin heals, protects and comforts. That's why it's been a part of my life for 20 years. It's like a warm hug from my mom. No kidding. 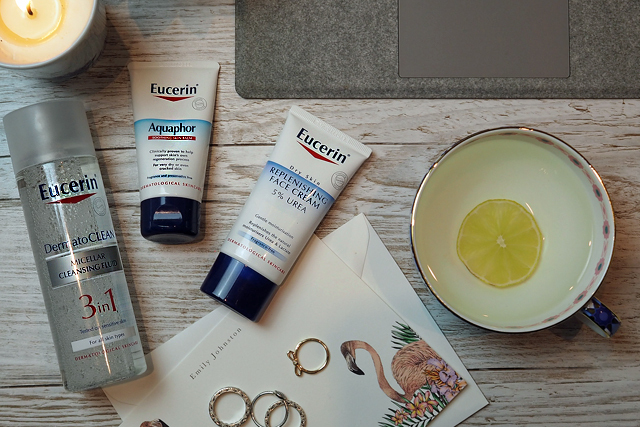 When the weather is just started to turn and my face is experiencing mild dehydration, in need of a quick fix, I usually reach for the Eucerin Replenishing Face Cream. It's just the right amount of moisturizing to get me back on track. As we move into the real chill of the holiday season, I find I'm never leaving home without the Eucerin Aquaphor Soothing Skin Balm. This is great to slap on when you are really having a skin emergency. It's the ultimate soother and returns skin from a place of dehydration that you thought you were never coming back from. This is all to say that as winter's coming, you needn't leave your hard earned money on the floor of your local department store for some seriously expensive skin savers, when a great source of comfort is to be found at your local pharmacy.